Israel, the Jew of the Nations (which was causing a revolution in religion, ethics, and morality millennia before most other peoples made their historical debuts), still has to fight for its right to take its place among newcomers on the world scene. As I prepare to try to once again fill in some important gaps which too many Jewish students--let alone others--have in education prior to or during their years of anti-Israel higher indoctrination and vilification on many, if not most, campuses, Hanukkah 5779/2018 is just over and Christians are preparing for the Christmas holiday of December 25th. This endeavor will serve as a follow-up to my last analysis with this goal in mind. That earlier one dealt with, among other things, what perhaps the greatest Muslim scholar of all time, Ibn Khaldun, had to say about both the historical Jew and the Jew of the Nations--Israel--some six centuries ago... If I say so myself, like this current essay, the former is also just what the doctor ordered when confronting groups like SJP/Students for Justice in Palestine (which just had its annual hate Israel fest conference at UCLA as I write this), J Street U, and duplicitous "Progressive" professors who specialize in using one set of lenses to scrutinize Israel and Zionism, and an entirely different set with regard to the rest of the neighborhood. With that said, what you're about to read is something precious to those interested in historical truths--not just religious and theological claims and inspiration...it is called corroboration. Too many of our younger folks (not to mention their parents) are simply naive in these matters, and when confronted by hostile instructors and groups on campus, either cower or join the increasingly popular anti-Israel (and frequently anti-Semitic) chorus. Hanukkah is the first war ever recorded which was fought over religious liberty and it was waged by the Jewish nation for freedom to practice its own religion - that's the nation which Zionism's opponents claim never existed. For millennia, Jews have had a very unique set of religious beliefs and ethical standards which they are supposed to adhere to. One could join the nation of the people of Israel/Judah/Judea by conversion to the religious faith of that people. "Jew" comes from the name Yehudah/Judah, originally the Hebrew tribe named after one of Jacob's sons and later Judah/Judaea as the land was known in the times of the southern kingdom and the Greeks and Romans. When Rome suppressed the first major revolt of the Jews for their freedom and independence after 70 CE, it issued thousands of "Judaea Capta" coins that can be seen in museums all over the world today. Judaea was the land, Judaeans/Jews were the people of that land. Open the link to see a Roman coin of conquest issued after the first major revolt of the Jews (not "Palestinians") for independence against the conqueror of much of the known world. Now here's the somewhat confusing part...As stated earlier, this particular people also had a peculiar set of religious beliefs: They worshiped a totally spiritual G-d, with no physical form, who demanded that man live by a strong moral code. The contemporary Roman and Roman-sponsored historians--Tacitus, Dio Cassius, Pliny, Josephus, etc.--living at that time were amused and spoke of this peculiarity in their writings. They had lots more to say about the Jews as a people as well. We'll return to Tacitus later on. The story of Ruth and Naomi in the Hebrew Bible is a moving, beautiful example which illustrates this connection nicely: “Whither thou goest, I shall go, your people will be my people, and their G-d, my G-d.” Note that even here, in the religious writings of the Jews, people/nationhood is mentioned before religion--perhaps a coincidence, probably not. Hanukkah began this year on the evening of December 2nd. I will also remember this for a sad reason. It was on this night, twenty-six years ago on the Western calendar, that my Father, of blessed memory, passed away. The date changes each year because the Hebrew calendar is lunar. Additionally, the Bible tells us that "the evening and the morning were the first day”--so Jews measure days from eve to eve in the 24-hour cycle. Since, in America, we are all (regardless of different religions) well-versed in the Christmas story, I feel that the Judeo portion of our nation’s Judeo-Christian heritage deserves more than just the usual potato pancakes, spinning dreidel, oil, and menorah-treatment we usually give to Hanukka--if that. Turn the clock back...The year is 1887. An Egyptian woman discovers a treasure-trove of over three hundred clay cuneiform tablets that would shake the world of religion and the study of ancient history. Named for a local Bedouin tribe, the Tel el-Amarna tablets (which can now be found mostly in the Berlin and British Museums) were mostly the official correspondence between Pharaoh Amenhotep IV--Akhenaten--and his governors and vassals from places such as Canaan, Syria, Babylonia, etc. They date mostly from around 1380 B.C.E. and were written in Akkadian, the language of diplomacy of the era. Now, guess what repeatedly comes out in this official correspondence between Pharaoh and his vassals in Canaan and the surrounding areas? Complaints about invasions of the “Habiru”…at least one branch of which most likely became associated with the Hebrews. While some scholars debate some details, most agree that the time--with even newer confirmations by excavations in Jericho--fits into the period of Joshua’s conquests of Canaan. Historical corroboration is very important to any serious scholar. And not many religious texts can match the historical corroboration found for the Jews as a nation, with its own land and religion. Jumping ahead about eight centuries, Babylon became a powerhouse, and the Jews’ remaining southern kingdom, Judah (together with Benjamin), fell captive to its King Nebochadnezzar. After the death of King Solomon, his father, King David's, united kingdom became divided about twenty-nine centuries ago. Prior to the Babylonian ordeal, the kingdom of the northern tribes, Israel, had fallen to the Assyrians a few centuries earlier, and many of the people became known as “the ten lost tribes of Israel.” There are now people in Pakistan, Afghanistan, India, and elsewhere who trace their lineage back to those earlier Israelis/Israelites. Returning to the Babylonian ordeal, and moving ahead, closer to the time of the Hanukkah story, the Jews would next find a hero in--hold onto your seats--an Iranian ruler, Cyrus the Great, who allowed their return to Judah in 539 B.C.E....not exactly the current Iranian mullahs’ type, was he? And again, while the Hebrew Bible gives the Jews’ own account of this episode, we also have it from the “other side” as well. “Furthermore, I resettled upon the command of Marduk, the great lord, all the gods of Kiengir and Akkade whom Nabonidus had brought into Babilani to the anger of the lord of the gods, unharmed, in their former temples, the places which make them happy.."
The names of Israel, Judah/Judaea, Hebrew kings, etc. and so forth are also found in the records of the Jews’ ancient neighbors. The Egyptian Pharaoh, Merneptah, left the first non-Biblical record of Israel that has been discovered so far. There are indeed many examples of this, but the last one I’d like to review for now before tying all of this together is one of my favorites. It involves the Arab claim that they were the original “Palestinians," the stuff groups like the SJP spout all the time, while their often Jewish useful idiots cheer them on. There was no country nor nation known as “Palestine” during the time of Jesus. The land was known as Judaea and its inhabitants were Judaeans…Jews. Observe that the Romans called their Arab allies Arabs, not “Palestinians.” And the Arabs mentioned by the Romans above were outside invaders from the Arabian Peninsula attacking the Jewish nation which was fighting for its freedom and independence against the conqueror of much of the known world. Putting it bluntly, the Arabs were simply acting like vultures moving in for a portion of the mainly Roman kill. And again, after the 1st Revolt, Rome issued thousands of Iudaea (Judaea) Capta coins to commemorate its victory. Notice, please… Iudaea Capta…not “Palaestina” Capta. Additionally, to celebrate this victory, the Arch of Titus was erected and stands tall in Rome to this very day. We saw a Judea Capta coin in the link above. 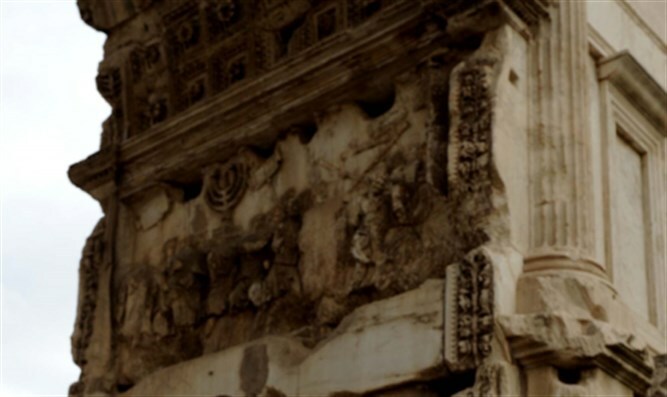 Here's one for the Arch of Titus. When, some sixty years later, Hadrian decided to further desecrate the site of the destroyed Temple of the Jews by erecting a pagan structure there, it was the grandchildren’s turn to take on their mighty pagan conquerors. The result of the struggle of this tiny nation for its freedom and independence was, perhaps, as predictable as that which would have occurred had Lithuania taken on the Soviet Union during its heyday of power. Unfortunately, two thousand years later, the Jews are still in that same struggle. The Emperor was so enraged that, in the words of the late esteemed modern historian, Bernard Lewis… "Hadrian made a determined attempt to stamp out the embers not only of the revolt but also of Jewish nationhood and statehood… obliterating its Jewish identity." Wishing to end, once and for all, Jewish hopes, Hadrian renamed the land itself from Judaea to “Syria Palaestina”--Palestine--after the Jews’ historic enemies, the Philistines, a non-Semitic sea people from the islands near Crete. Prior to this time, the coastal region around Gaza was also geographically referred to by the Greeks by that name. And finally, let’s see what all of this has to do with Hanukkah. 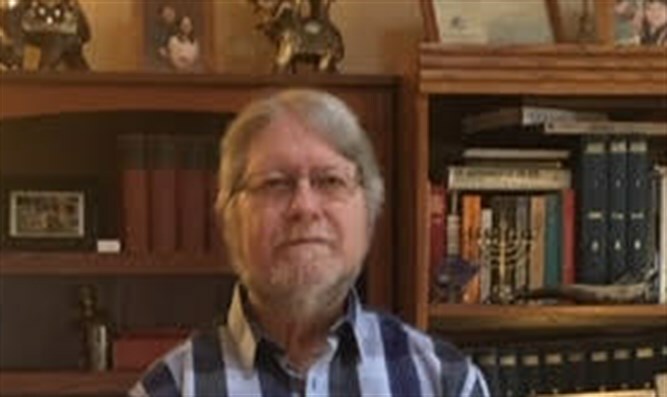 Back in the ’70s, while doing doctoral studies at the Kevorkian Center For Near Eastern Studies (a consortium of Princeton, Columbia, and New York Universities at that time based at N.Y.U’s Washington Square campus), I had the privilege of having Dr. F.E. Peters as one of my professors. A leading expert of the ancient Near East (along with other related subjects), one of his specialties was ancient Greece. Fluent in the language and immersed in the primary sources, Peters’s The Harvest Of Hellenism largely supports the Jews’ own accounts of their struggle for independence against their latest conqueror, the Seleucid Greek successors to Alexander the Great based in Syria. After the latter’s death, his generals fought for the pieces of the pie. Ptolemy wound up with one of the other main prizes, Egypt. Whatever else may or may not have happened in Judaea during the time of Antiochus IV Epiphanies (“the god made manifest”), and while the good professor takes issue with some aspects of the Jews’ own accounts, both he and Jewish tradition agree that the clash he himself wrote about inevitably led, as mentioned earlier, to the first war ever fought--at least in part--over religious freedom. Proclaiming yourself a god among pagans was one thing. They could just add Antiochus onto a long list. But to do this with Jews, whose religion teaches that no man--regardless of how great--could be divine, was explosive. Add to this his attempt at squashing their attempt to retain their own way of life and religious practices, and the revolt of the Maccabees--the story of Hanukkah--became inevitable. That above passage, by the way, involving the issue of the deification of man, explains the real schism between Judaism and Christianity today as well. At a time when Israel, the Jew of the Nations (which was making history and causing a revolution in religion, ethics, and morality millennia before most other peoples even made their historical debuts), still has to fight for its right to take its place among those newcomers on the world scene, the story of Hanukkah and its message of re-dedication is as important today as it was when Judah the Hammer (the “Maccabee”) and his brothers took on their mighty pagan rulers over two thousand years ago. And so is the rest of Jewish history. Read about it and be proud of how that history continues in the democratic State of Israel.